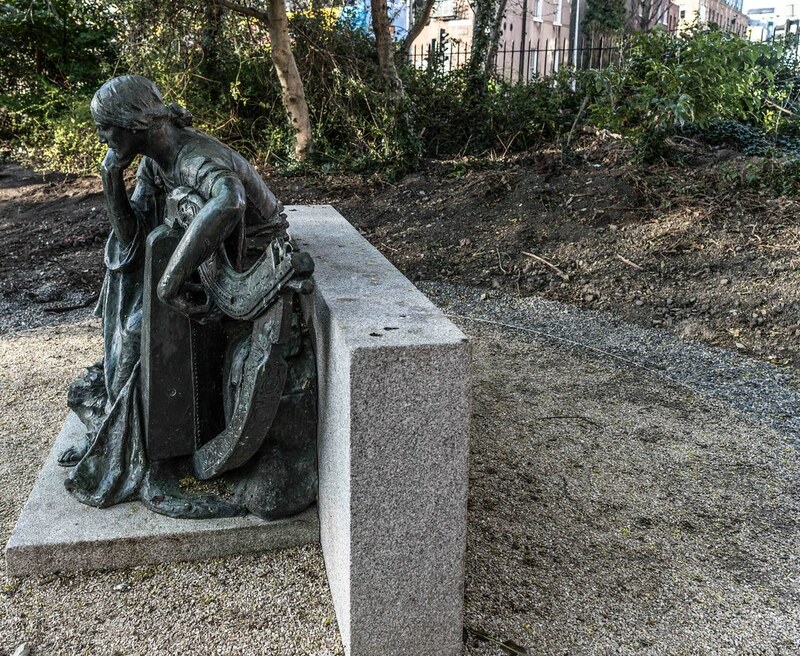 In 1928 Jerome Connor became involved in a proposal to create a memorial to the Kerry poets, which was to commemorate four leading Gaelic poets of the 17th and 18th centuries at Killarney. 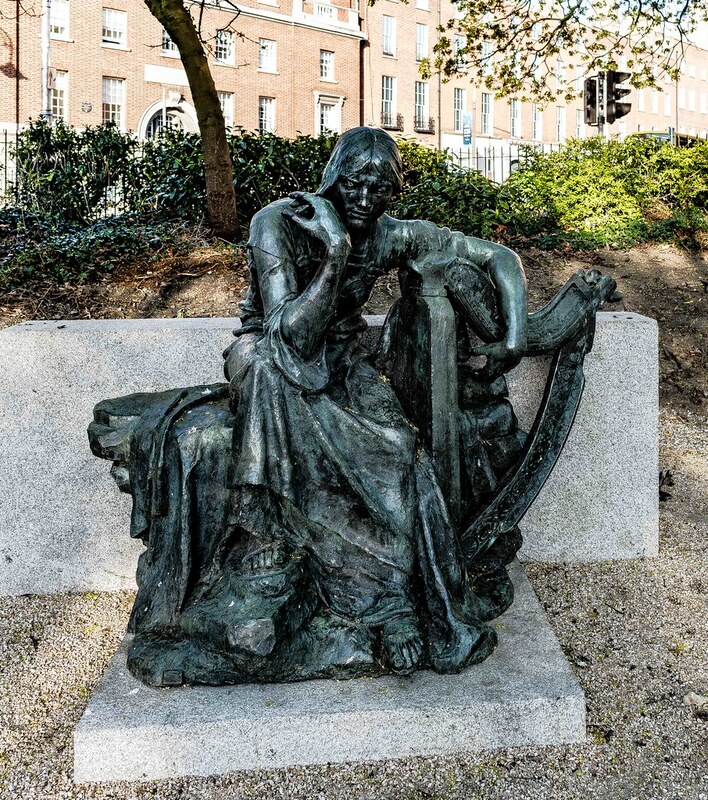 He chose a figure of Éire holding a harp seated on a rock, possibly inspired by Walt Whitman’s poem Old Ireland in Leaves of Grass (1861). 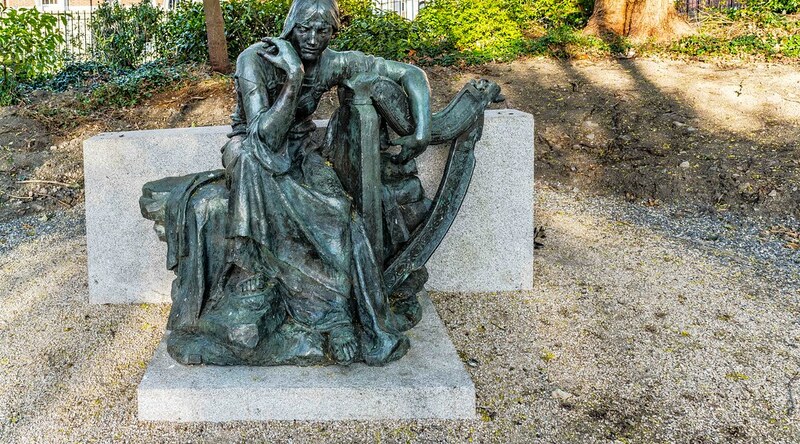 The unstrung harp was based on the 1621 Cloyne harp in the National Museum. The work went as far as a full-scale replica in wax. Due to the limited funds available, Connor agreed to forego his artist’s fee and charge only the costs of production, indicative of a personal commitment to this project in his native country. 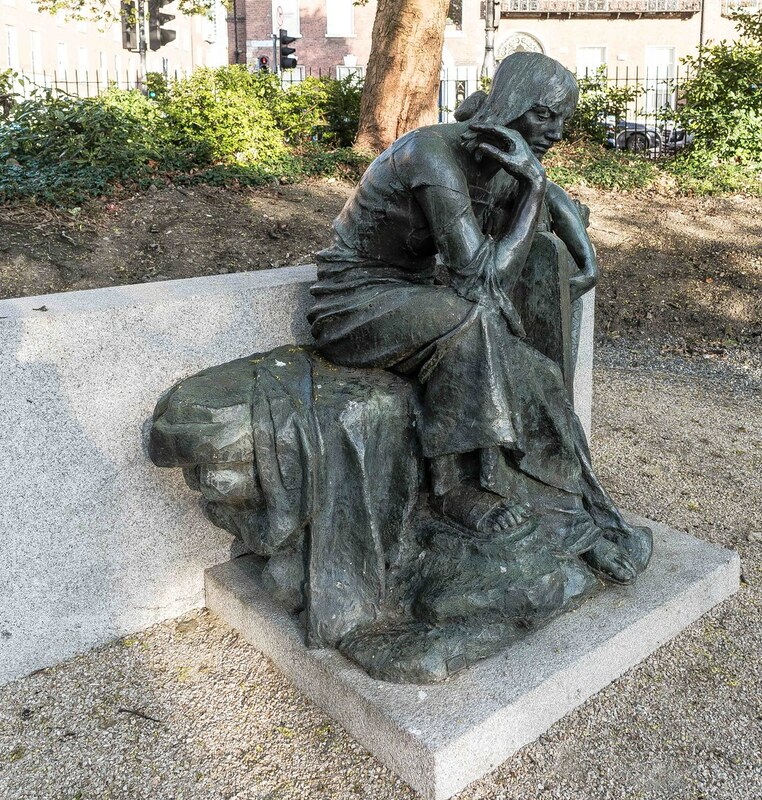 Despite its allegorical subject, it is a highly realistic piece of modelling but opponents of the scheme blocked payments in 1932 on the grounds that it was “pagan” and lacked religious symbolism – an instance of the narrow religious prejudices of the time. 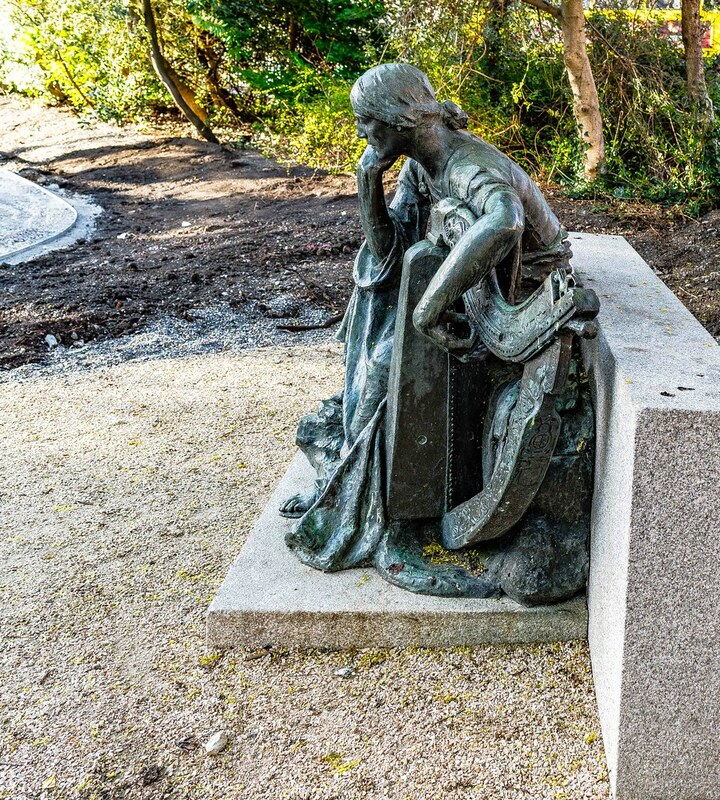 Payments to the sculptor ceased which precipitated his bankruptcy and subsequent poverty. 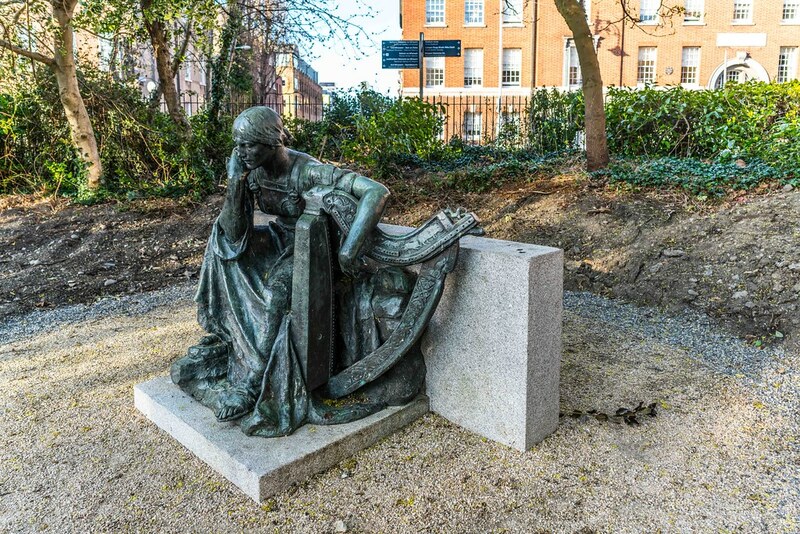 The sculpture was not completed in his lifetime but was cast in 1974, funded by Downes bakery, and placed in Merrion Square, but without the planned pedestal and inscription.